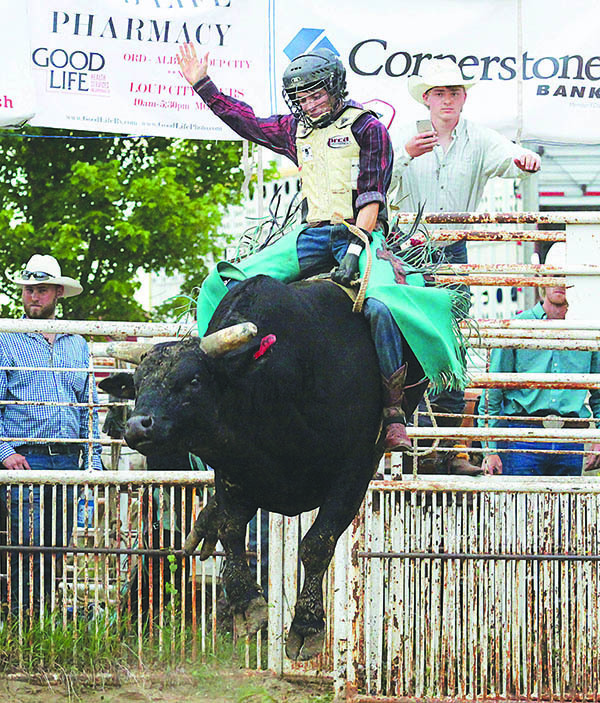 Another large crowd took advantage of perfect evening weather Sunday to enjoy the 23rd Annual Gateway to the Sandhills Bullride at the Boone County Fairgrounds in Albion. 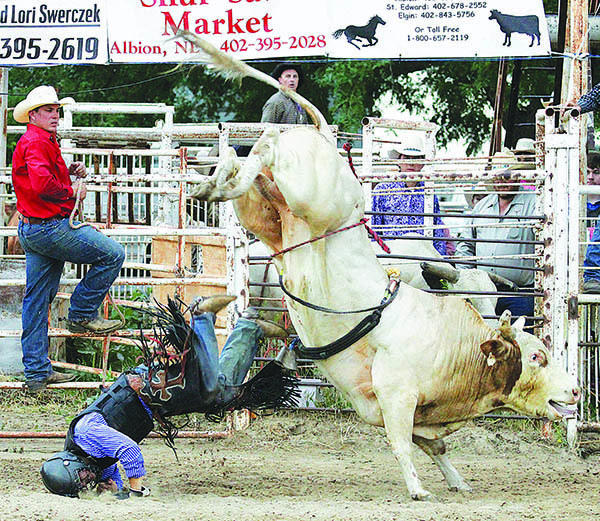 Thirty-five riders from Nebraska, Missouri, Iowa, Oklahoma and South Dakota, and lively bull stock provided by Rodeo Rose Productions, again thrilled fans with rough-and-tumble action. When all was said and done, Garrett Wickett of Springfield edged fellow South Dakota cowboy Ueberson Duarte (Sioux Falls) for the winners’ purse and the coveted championship belt buckle donated each year by Albion’s Jim and Delores McMillan.